The days following the American election plunged me into lament. Everything around me was in grayscale; everything in me was melancholy. Yet full-scale lament was premature because the worst hadn’t happened yet. What I witnessed on election night was the first fracture in the wall, not the total crumbling of the city that Daughter Zion mourned in Lamentations. So I tempered my own lament—somewhat. I allowed myself seven days to feel the sadness. Then I was determined to pay attention to the world around me in obedience to the prophets of old. Loss comes first, as the prophet Isaiah articulates. The city of Jerusalem is destroyed in real time around him. It then lies in ruins for the next 140 years. The five poems of Lamentations were written in the aftermath—while enduring a landscape of devastation with no hope on the horizon. The words are plaintive, wailing for a world that no longer exists except in the memory of Daughter Zion and some other sore survivors. The poetry stings with anger at a God who has forsaken Israel, voicing utter shock at the divine absence in Jerusalem’s hour of need. Raw emotions explode off the ancient page and ricochet into our contemporary heart, ripping the veneer off all our pretenses of being fine. 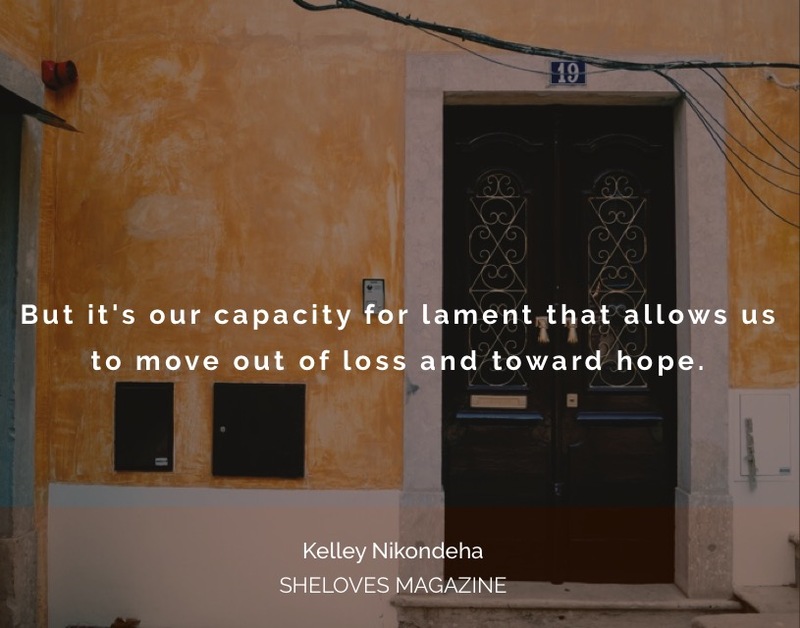 Read the rest over at SheLoves Magazine HERE.